This edition contains documents from the seventeenth century to the Second World War. There is additional material to complement NRS Volume 116 from the Commission of Enquiry in 1608, an account of the Earl of Warwick’s voyage to the Mediterranean in 1627 and documents relating to the management of the Royal Dockyards between 1672 and 1678. 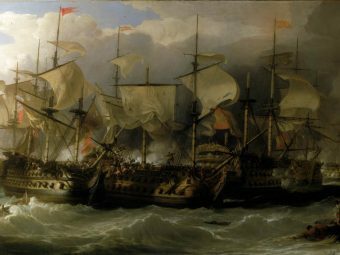 There is an account of Benbow’s last battle and ensuing court martial in 1702, orders and correspondence relating to landings on the French coast in 1758, papers relating to operations in the Leeward Islands during the Seven Years War, letters from a naval captain from Portugal and the Mediterranean during the Napoleonic Wars, operation orders and reports relating to Copenhagen in 1807, letters from a midshipman in the Far East between 1818 and 1822, the capture of Bomarsund in 1854, a Committee of Inquiry relating to the Admiralty office in 1855, officers’ correspondence on the Dardanelles Campaign and, finally, the memoirs of a paymaster in the Royal Australian Navy, in both WWI and WW2.